Brooklyn NY is a mostly residential community with a wide variety of large and mid-size suburban homes. The homes for sale in Brooklyn end to fly off the market, so it’s important that homeowners in the area have access to a reliable home inspection company that doesn’t skimp on the details. Regardless of what kind of home a person is looking to buy or sell, the home inspection process is an important part of any real estate transaction, giving buyers valuable insight into what’s happening behind the scenes in a home. It all starts with choosing the right home inspection company. The professionals at E-Spection have been serving homeowners throughout the Brooklyn area for over a decade. Find out why they’re the best home inspection company in Brooklyn. For some Brooklyn home owners, the home inspection process can be overwhelming. Finding the right inspection company or knowing what to look for can leave some homeowners scrambling at the last minute. But not all home inspection companies are created equal. Some Brooklyn home inspection companies will race through the process, quickly summarizing an entire home in just a few hours. But,the inspection process is typically a lot more involved. The inspector should be prepared to go underneath the surface to make sure that there are no structural issues lurking behind walls, in the ceiling, or underneath the floor. 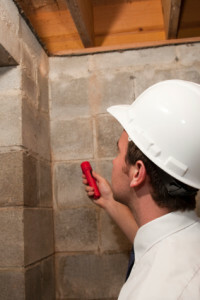 As the leading Brooklyn home inspection company, E-Spection goes one step further. They use infrared camera technology to get a full sense of what’s happening inside a person’s home. The equipment they use is so small that it can fit through the tiniest of openings, giving the inspector and the homeowner an in-depth understanding of the home’s true condition. Without these additional precautions, homeowners run the risk of leaving some areas in the dark. There could be a serious issue hiding around every corner, which could lead to costly repairs down the line. The professionals at E-Spection are there to make sure that Brooklyn homeowners are getting exactly what they pay for. A home might look like it’s in good condition from the outside, but without exploring behind the scenes, the home’s new owner could be in for a rude awakening, paying to repair all sorts of issues that should’ve been identified during the inspection process. Brooklyn homeowners can avoid all this grief and frustration by contacting E-Spection to complete their home inspection. Those who need a home inspection with E-Spection can Schedule an Appointment online or give them a call at (516) 334-4663. Clients can expect to get an electronic copy of the results by the end of the day of the inspection.